When choosing flooring, half the battle is simply choosing the material. However, once the material is picked out, you then must determine what color you should install into your home. When it comes to kitchen flooring, one of the best choices is tile. Tile flooring is durable, easily cleaned, requires almost no maintenance, and has been proven to be beneficial to you and your pets. 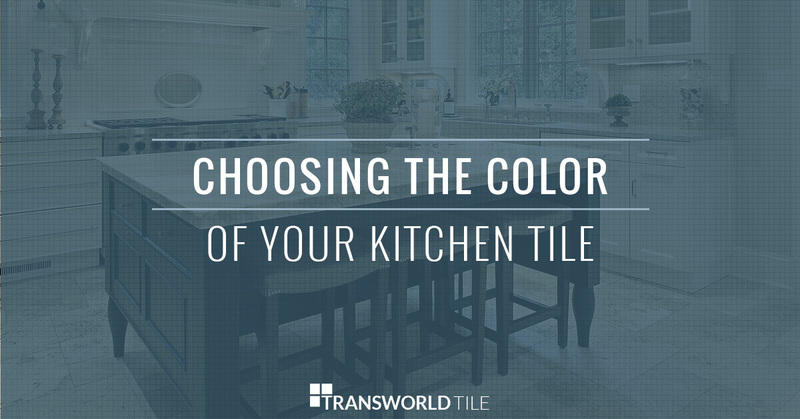 If you are choosing tile for your kitchen, you will have to determine what color to go with. Choosing the shade of kitchen tile can be by far the most stressful part of your kitchen decorating process. Why? Because unlike paint, which can be changed with a few hours and a can full of paint, a kitchen floor can last for decades and it not easily changed. Whatever you choose for your flooring, you have to install it with the mindset that it will last forever. With that being said, when choosing a color for your floors, you need to choose something that you can look at over and over again, without getting tired of it. In this blog, we will discuss the factors you must consider when choosing a color for your kitchen tile. With this guide, our hope is that your can find the right choice for you and your kitchen. When choosing kitchen tiles, you want to make sure that the tiles are a color you genuinely like, and won’t get tired of looking at. Because flooring is such a permanent fixture, homeowners tend to choose more neutral colors for their tile, such as tans, browns, and light greys. These colors are a good choice for several reasons, with the most important being that they coordinate with any color. So, for example, if you change up the colors in your kitchen or change the look of appliances, your flooring will always coordinate well. Dark colors are encouraged, specifically because they hide dirt and animal hair. Dark-colored tile is a good choice because you will be able to give your home a clean look, without constantly having to maintain the floors. The only warning against dark flooring is that dark colors tend to make a room look and feel smaller. If you have a small kitchen space, you most likely won’t want to install dark-colored flooring. Also, if you have any form of claustrophobia, dark kitchen tile shouldn’t be your immediate choice. When your floors are more noticeable, they can bring attention to the walls of a room and make you feel confined. Sometimes tile can come in mixed sets that coordinate color, pattern, and style. If you are looking to make for of a statement with your flooring, mixed kitchen tiles would be the way to do it! The only issue with mixed tiles is that it can easily get out of control and be less of an art statement and more of a hideous disaster. When mixing up colors make sure you do it tastefully and in a well-organized fashion. Also, when you plan out a stand-out flooring-job, keep in mind that your floor will be the focal point of your kitchen. This means, that you also cannot decorate your kitchen cabinets with wild colors as well, otherwise your guests will be unpleasantly shocked by your decorative choices. If you floors are a statement piece, you will want the rest of your kitchen to seem neutral and stylishly decorated. Just as there are warnings with installing darker-toned tile, there are also warnings about lightly-colored tile. 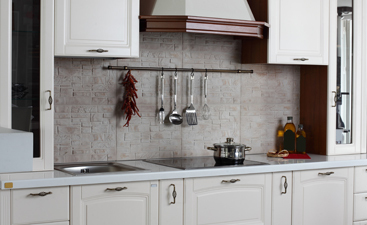 When it comes to kitchen tiles, lighter tile colors, such as beige, white, and tan, are all good choices. But why are they good choices? Well, light flooring works well with all colors and can make any room look larger. The lighter your flooring materials, the bigger the space will appear. However, though there are benefits with lightly-colored flooring, there also are some serious drawbacks. 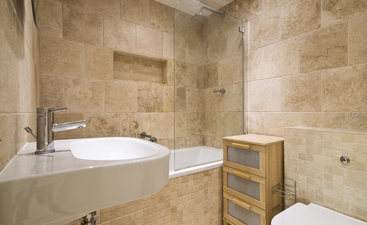 For example, lighter kitchen tile does not mask dirt or pet dander. Though tile makes clean up easier, because dirt is so much more noticable, it may not be work your needed cleanup routine. 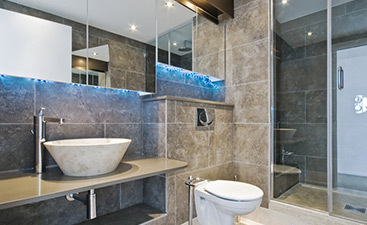 So, darker tile is always ideal for kitchens. With over 30 years of experience, Transworld Tile knows a thing or two about tile. Whether your kitchen is in need of a kitchen backsplash or flooring, our tile company can offer you quality tile for an affordable price. Tile is a great material for both kitchen backsplashes and flooring, as it is easy to install and very convenient to clean. If your kitchen is in need of a remodel that will add aesthetic value, we would be happy to help you! Contact our business today if you are interested in improving your kitchen!